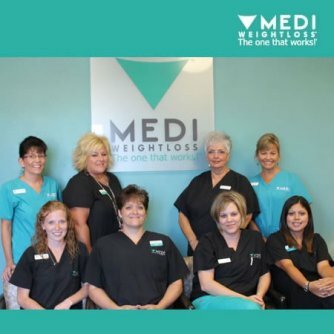 Begin your program with a 90-minute Initial Weight Loss Consultation with our professional medical staff, followed by weekly appointments. Win the Weight Loss Battle! KIMBERLY S. FARRAR, APRN, Director of Clinical Operations, has received a Certificate of Advanced Training in Bariatric Medicine from the American Board of Bariatric Medicine, meaning she completed the same study of bariatric medicine and completed the same test as Dr. Cobb. JILL D. NITCHER, RN, BSN, Director of Nursing Services, has completed advanced training and continuing education in bariatric medicine. Together, and with a staff consisting of nurse practitioners and registered nurses, our directors are committed to providing patients with high quality bariatric care in order to achieve the goals of the patient by delivering the safest and most medically sound treatment possible. Jerome (pictured in the slide show) is the patient who has lost the most weight in our program. He was able to lose 300 pounds in sixteen months on the Medi plan. Jerome’s rapid weight loss is not typical, but shows what can be accomplished on the Medi plan. In spite of several chronic medical conditions, Jerome was able to lose his weight very quickly because he was given a medically sound plan devised specifically for his conditions and he was constantly being monitored by our medical professionals. Jerome has been so successful that he has become a national spokesman for Medi-Weightloss Clinics, traveling to special appearances including medical conferences, clinic openings, health fairs, TV appearances and testimonial/motivational speeches. Jerome is available to our local clinic in Andover for special appearances (clubs, church groups, health fairs, etc), for facilitating support groups or for individual support counseling sessions. 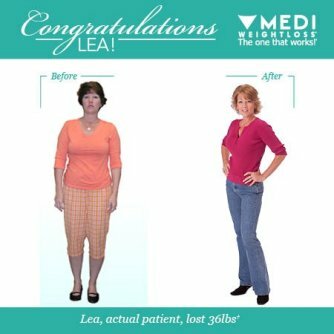 Patients can communicate directly with Jerome through his blog or email as shown on our website at: www.mediweightlossclinics.com.